Second place in World Cup Final! 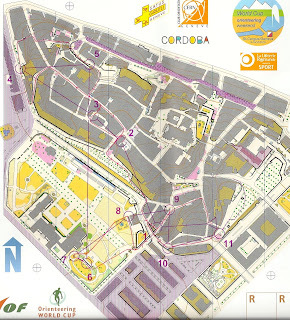 The culmination of the orienteering World Cup was held in Geneva, Switzerland this weekend. 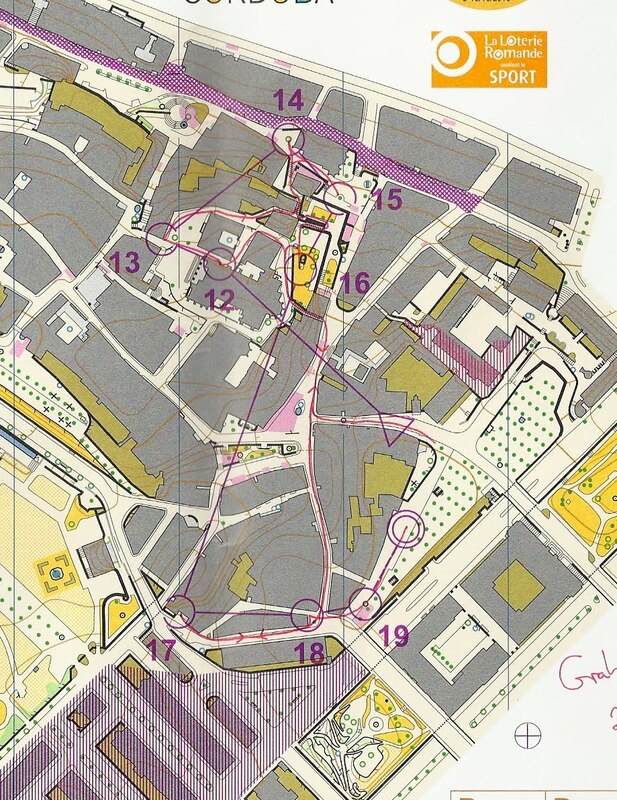 The top 40 runners in the world qualified for an urban sprint race around the old town of Geneva - a labyrinth of small alley-ways, staircases and back passages. I qualified as I was 18th in the World Cup going into the race, but I knew I had a great chance to improve my ranking and get a good result. I started well, and allowed the navigation to dictate the speed. 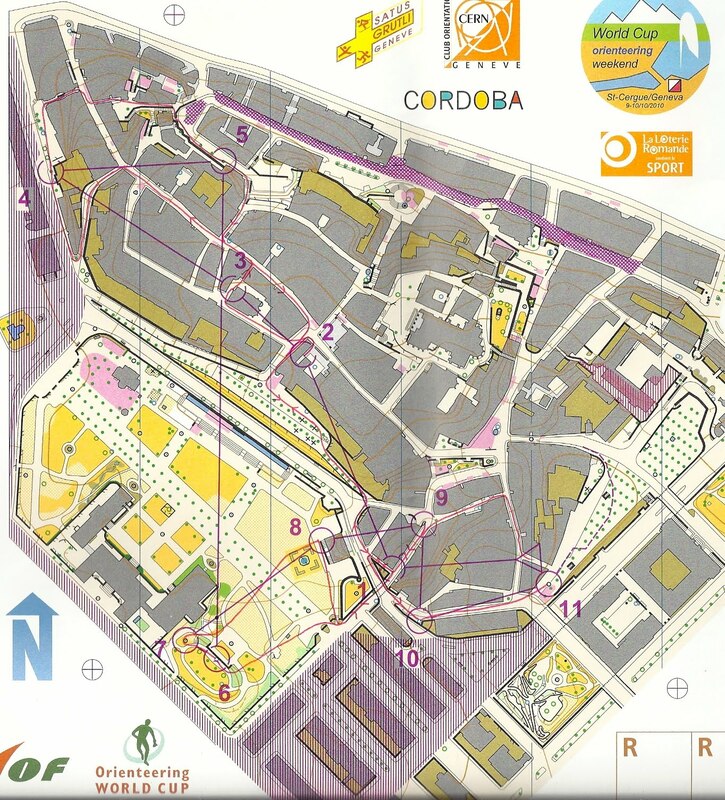 As I passed through the arena for the second loop, my coach shouted that I had a big lead (although with all the top ranked runners starting after, I could not relax!). 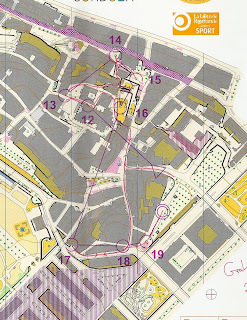 The second loop was tricky, with a lot of climbing and descending narrow staircases. I held it together though, passing the athlete starting 1 minute in front, and catching sight of the one 2 minutes in front (despite having a pretty hard collision with Øystein Kvaal Østerbø at one point running around a tight corner) and I sprinted into the crowded finish arena with a new leading time. Then it was a nervous wait on the leaders 'red sofa' as one by one other runners came in withslower times. 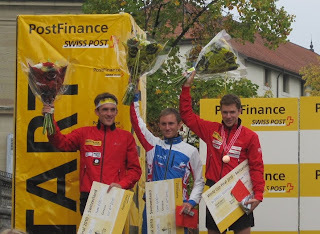 With only 2 runners left, I was still on the sofa - so it was my first World Cup medal! Then Muller appeared, with a dangerous time. As we counted down the seconds, he crossed in exactly the same time! Then there was less than a minute to wait for the World number 1, Daniel Hubmann. 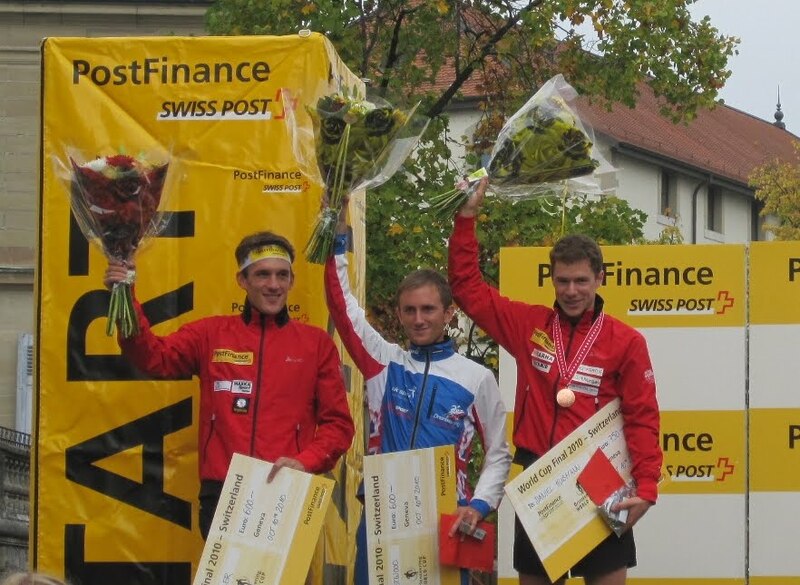 Sure enough, he appeared with a good time, and took the win by 9 seconds, pushing meand Muller down into equal 2nd. So, silver medal in the World Cup Final - my best individual result, and it pushed me up to 9th overall in the World Cup 2010 and 17th in the World Ranking.